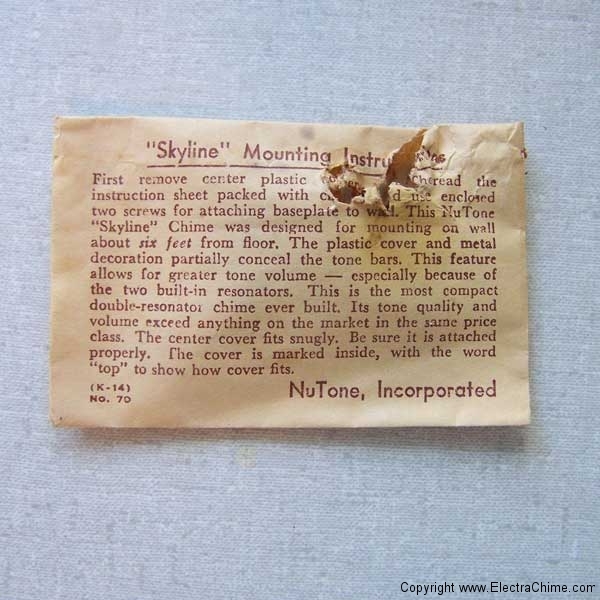 This NuTone “Skyline” Chime was designed for mounting on wall about six feet from floor. 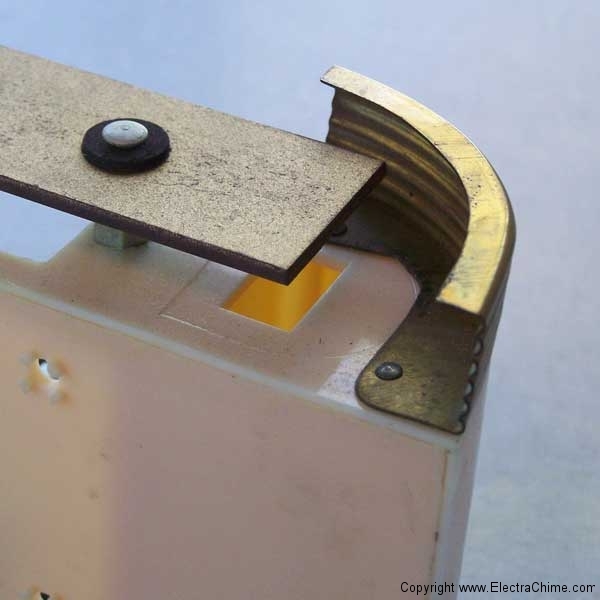 The plastic cover and metal decoration partially conceal the tone bars. This feature allows for greater tone volume— especially because of the two built-in resonators. 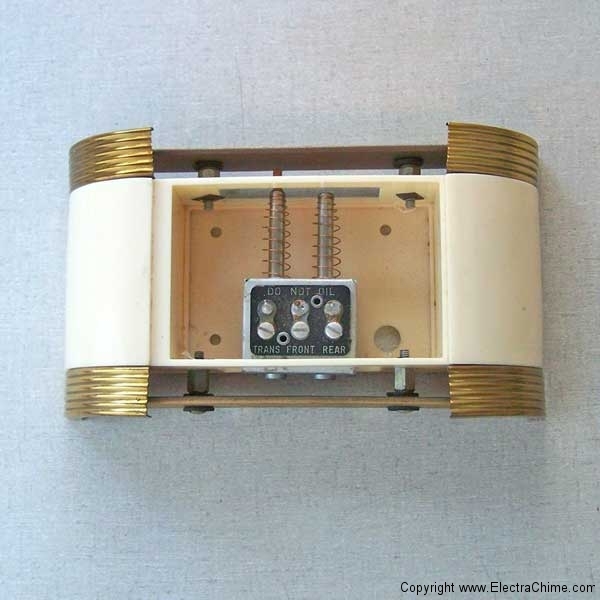 This is the most compact double-resonator chime ever built. Its tone quality and volume exceed anything on the market in the same price class. 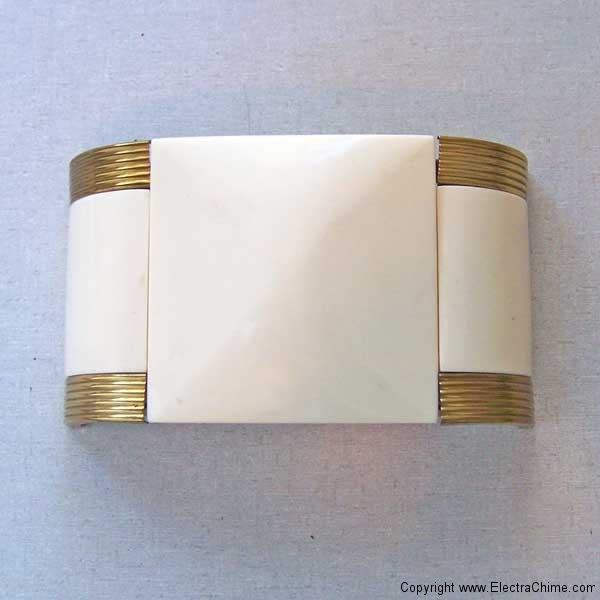 This doorbell is also an early example of a styrene plastic cover and mechanism base. The “Skyline” was a successor model to the Streamliner door chime.